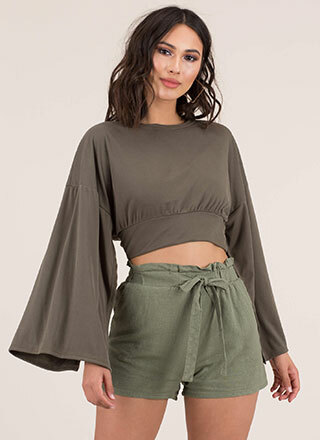 Desperately seeking some vacation shorts? We heard your distress call! 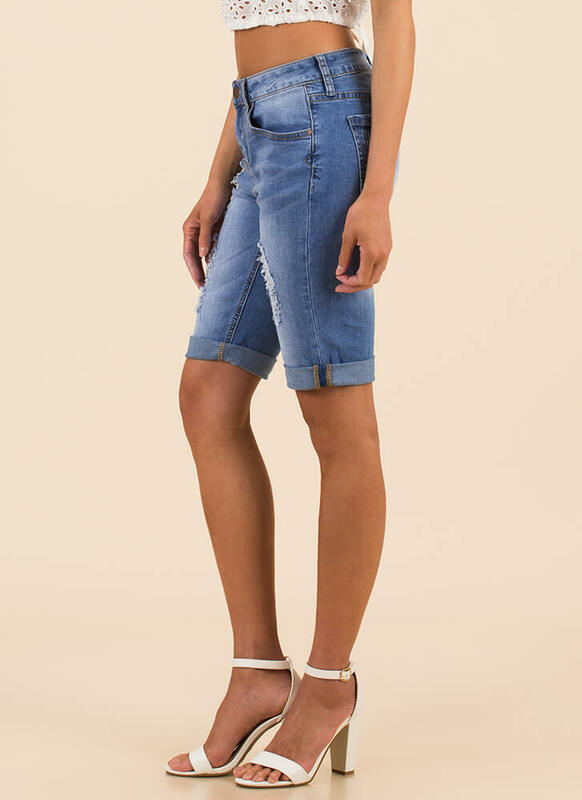 Stretchy destroyed denim bermuda shorts feature a classic five-pocket design with a buttoned zip-fly and stringy distressed patches down the front. Distressing may vary slightly.